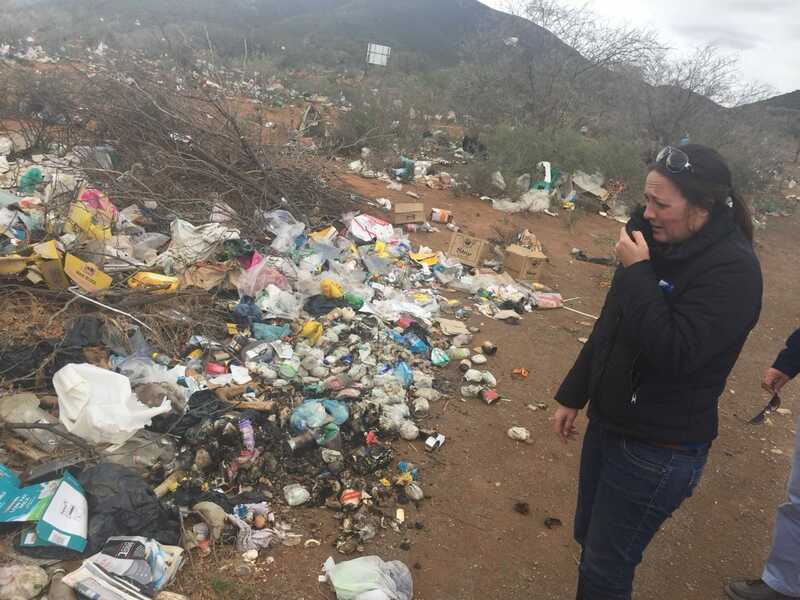 Shadow MEC for Cooperative Governance and Traditional Affairs, Vicky Knoetze, at a recent oversight inspection of the Steytlerville refuse site. The Democratic Alliance in the Eastern Cape has written to the MEC of Cooperative Governance and Traditional Affairs, Fikile Xasa, to intervene and ensure that the Steytlerville refuse site is adequately maintained to prevent a health hazard to surrounding communities. Pleas from the community to the ANC-led Dr Beyers Naude Municipality, to do the work that ratepayers are paying for, have simply been ignored. The lack of management has seen the site deteriorate, becoming a health hazard to the community and placing lives at risk. 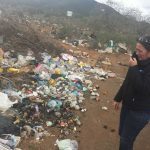 Despite various attempts by Democratic Alliance councillor Danie Bezuidenhout, through the Ward 12 Ward Committee, to have the site cleaned up and properly managed by the newly amalgamated municipality, the site is regressing by the day. There is simply no oversight and a complete lack of supervision. The ward committee has been compiling monthly reports that have been forwarded to the municipality with absolutely no response. They have also requested that officials of the municipality visit the area to address this and other issues, to no avail. The refuse site is the embodiment of ANC governance in municipalities across the Eastern Cape. Municipalities that are financially unstable and unable to deliver services to the people, on the brink of imminent collapse. Government should be improving existing infrastructure and rolling out service delivery to the people, but instead, we are seeing existing infrastructure crumbling, and no services to speak of. We have also asked him to review the legislative roles of ward committees. Ward Committees are statutory bodies with a legislative mandate that speaks to the principle that the ‘people shall govern’. It is clear from instances such as what is transpiring in Steytlerville, that the ANC is merely paying lip service to these bodies. Local government in the Eastern Cape is in a state of emergency. Only the Democratic Alliance can bring about the change that builds One South Africa for All.